DSCN5864, originally uploaded by trekr. This tree just keeps growing! 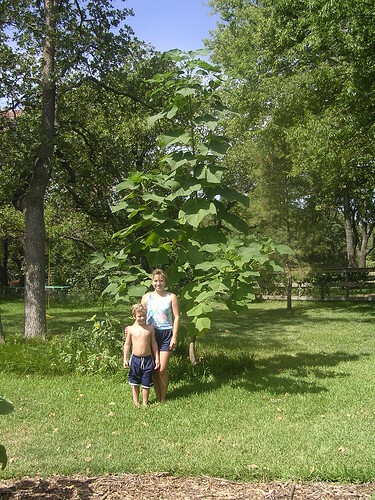 It has easily doubled its height this summer. We’ll need a few more winters to determine if its viable in north Texas. This entry was posted on Monday, July 25th, 2005 at 11:07 am	and is filed under Garden. You can follow any responses to this entry through the RSS 2.0 feed. You can skip to the end and leave a response. Pinging is currently not allowed.